The program was super easy to use: I logged on to Instagram through Blurb and it put it all together for me. I just wanted pictures of our little family, so I deleted the pictures I didn’t want. 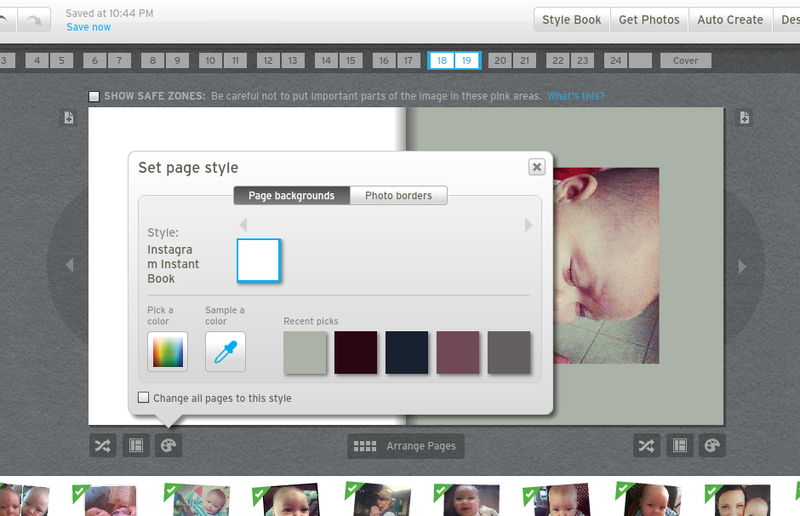 Layouts were easy to use and my favorite tool was the color match tool; you can select a background color by selecting a color from your picture. The program made visualizing and editing the album really easy. I made an Instagram book of our family in about 15 minutes, and that included taking pictures out and color matching the backgrounds for every page! You can order your book with a hard cover or soft cover and different types of pages as well. It’s a nice little book to keep on the coffee table. It would be great to do one of these photo books with pictures from a recent vacation; or even a mini-cookbook. Right now Instagram Photo Books are 15% off, and so are all other Blurb Books for the month of October (you can even make a photo book from your Facebook Pictures). 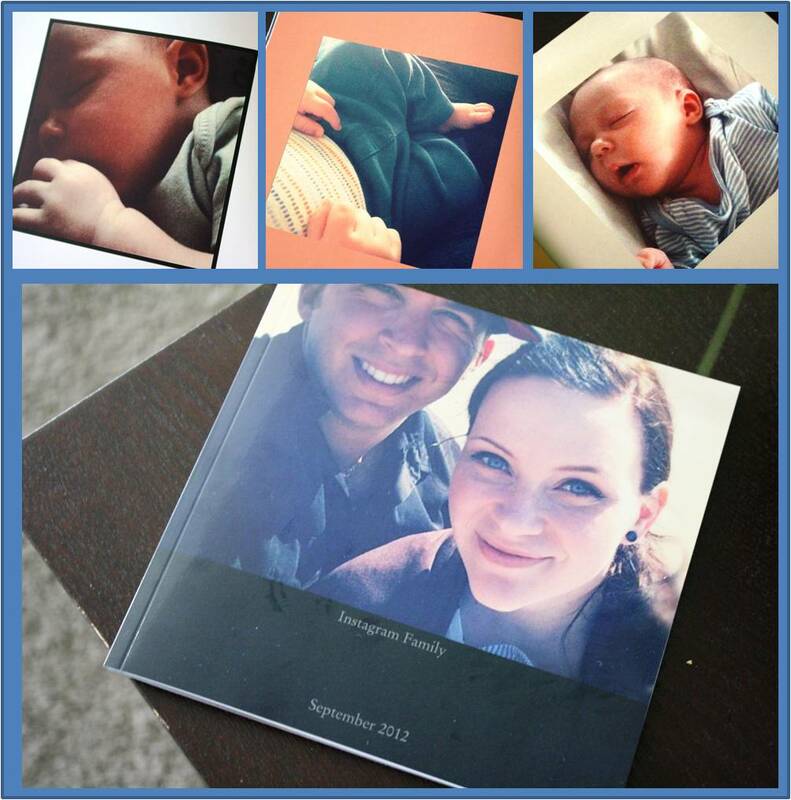 I plan on making a couple family photo books for Christmas!